Remedy showed off this tech demo at GDC 2018. It shows what the new DirectX Raytracing feature can do in their Northlight Engine. The new Oh Deer diner looks pretty nice! 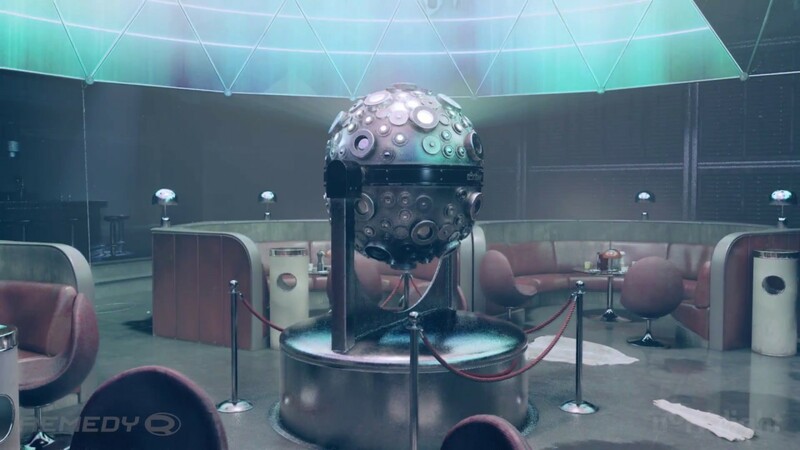 "API that enables straightforward access to real-time ray tracing running on development graphics hardware.This technology remains at research level, and as such it is far from being implemented into a video game, but it is an intriguing glimpse of things to come." Too bad it'll be years before this gets into any games. Haha! Rose looks a little different though. It looks really good! Admittedly looking at the presentation, the tech is a little too complex for me to grasp, but the video looks really impressive. Will Control have this raytraced engine ? This technology remains at research level, and as such it is far from being implemented into a video game, but it is an intriguing glimpse of things to come. So I doubt. Even though real time raytracing is possible now, it's still hardly ideal in a game, especially one designed for current-gen console hardware. The "Alan Wake development history" fanatic strikes again!